Let's play with children in the family tree! It's very addictive and informative game. Reach for memory back, ask grandparents or other family members about the names of grandparents and maybe even great-grandparents. Valuable information can be found in the old family documents and photo albums. 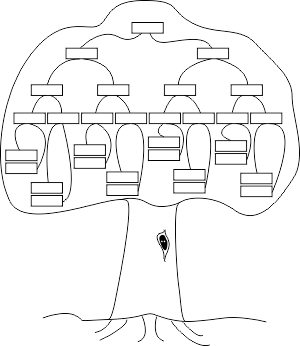 Genealogical tree of your family, you can draw yourself, you can also take advantage of the available templates. You can download the following templates: four- and five generations. There are places for our ancestors: great-grandparents, grandparents, parents and child. The template can be printed, filled and colored. Have fun with discovering your roots! 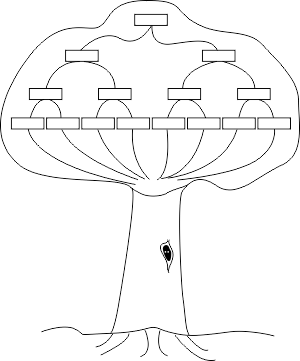 Our genealogical tree templates are in pdf vector-quality format - the best for printing on your home printer. You can download them completely free.